New Listings in Sioux Falls increased 2.4 percent to 388. Closed Sales were up 5.4 percent to 294. Inventory levels fell 17.9 percent to 968 units. Prices continued to gain traction. The Median Sales Price increased 4.6 percent to $205,500. Days on Market was up 2.7 percent to 82 days. Sellers were discouraged as Months Supply of Homes for Sale was down 24.4 percent to 3.2 months. Although every community is different, a general analysis of all housing markets across the country reveals that housing inventory is slowly moving toward balance with year-ago levels. This is the first indication in years that we may be approaching an inventory bottom. 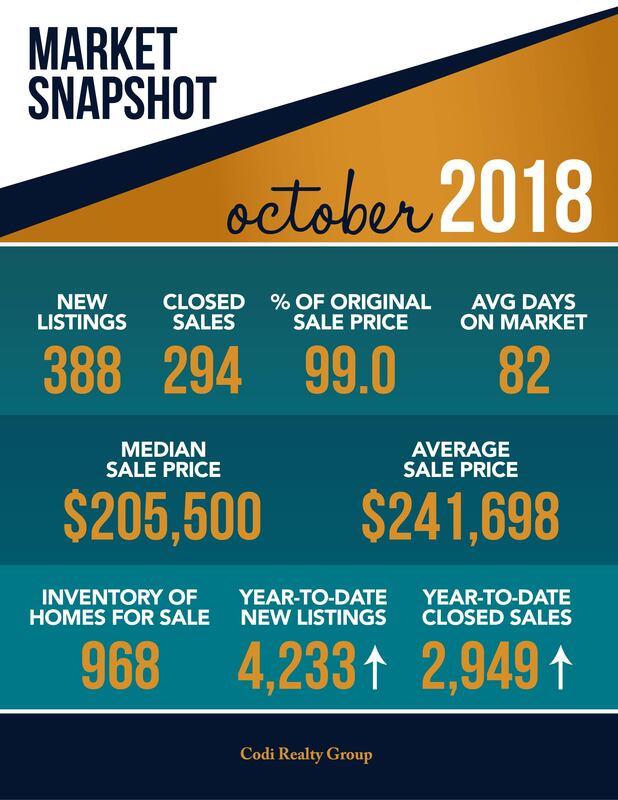 For the 12-month period spanning November 2017 through October 2018, Closed Sales in Sioux Falls were up 5.4 percent overall. The overall Median Sales Price was up 5.3 percent to $209,500. Market-wide, inventory levels were down 12.2 percent. The construction type that lost the least inventory was the Previously Owned segment, where it decreased 11.7 percent. That amounts to 3.4 months supply for Single-Family homes and 4.8 months supply for Condos.